The Reverend Scottie Swinney of Savannah, GA peacefully went home to be with the Lord, Thursday, January 31, 2019, at the age of 57, after a brief illness. He was the esteemed pastor of the historic St. Philip A.M.E. Church, 613 Martin Luther King, Jr. Boulevard since 2012. A native of Augusta, GA, the Rev. Swinney graduated from George P. Butler High School, Morris Brown College, and Turner Theological Seminary (ITC). He was also licensed in Real Estate by the State of Georgia Real Estate Commission. 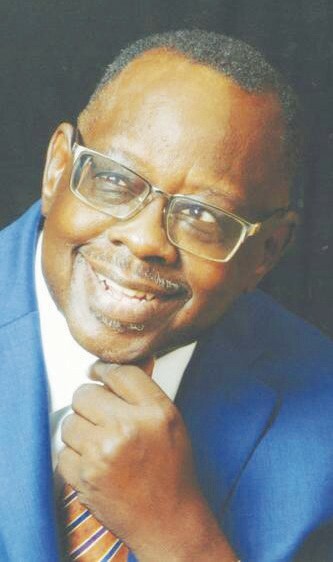 The Reverend Swinney distinguished himself from the time of his youth as someone who would serve the African Methodist Episcopal Church (AMEC) with distinction. He became Augusta Conference President of the Young People’s and Children’s Division of the Women’s Missionary Society as a teenager and soon answered his call to Christian ministry. He was a delegate to eight AMEC quadrennially held General Conferences. From 1992 to 1996, the Rev. Swinney also served as a member of the General Board for the AMEC and served on the Board of Trustees for Turner Theological Seminary. In addition to serving as a “first pastor” in both the Georgia and Southwest Georgia Conferences, where he maintained and updated the structural integrity of historic edifices, he trained hundreds of emerging ministers during their Board of Examiners process in Augusta, Columbus (served as dean), Atlanta, and Savannah. As a first-generation college graduate, he valued and promoted education through scholarships and financial support to countless youth throughout his life. He was the former pastor of the Louisville Circuit, Ward Chapel AMEC, Augusta; Saint James AMEC, Columbus; and Allen Temple AMEC, Atlanta. Adams Funeral Services were in charge of the service.